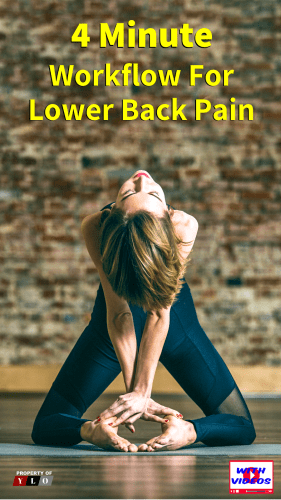 Yoga for Back Pain Relief. It Works! So why haven’t you tried it? 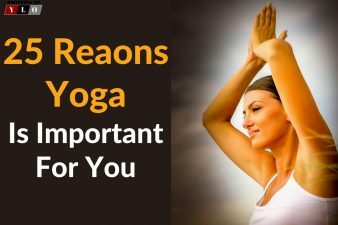 If you are having back issues and always wondered if you could get some relief by using yoga why are you still a little afraid? Do you think you could never get into those positions? You have filled your mind with so many reasons why you think you can’t, so let’s look at what you can do. This simple 6-pose workflow is perfect for your first yoga outing. 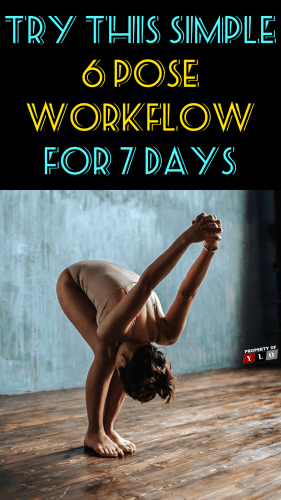 Try this workflow for 7 days and see if you can feel the benefits. This workflow is simple enough for anyone to do, no heavy lifting, handstands or any of the difficult pretzel-looking poses you have seen people doing. Read through the directions and watch the short videos of a pose. Begin with just one. You will see how easy it is and you will be eager to do the next. Before you know it, you could realize that your back pain has been reduced or is totally gone. Hold for 30 seconds breathing slowly and relaxing everything. Move directly into the next pose. 7. Repeat 5-20 times, and then rest by sitting back on your heels with your torso upright. Hold for 30 seconds and move directly to the next pose. 3. Exhale as you tuck your toes and lift your knees off the floor. Reach your pelvis up toward the ceiling, then draw your sit bones toward the wall behind you. Gently begin to straighten your legs, but do not lock your knees. Bring your body into the shape of an “A.” Imagine your hips and thighs being pulled back from the top of your thighs. Do not walk your feet closer to your hands keeping the extension of your whole body. 8. Engage your quadriceps. Rotate your thighs inward as you continue to lift your sit bones high. Sink your heels toward the floor. 9. Align your ears with your upper arms. Relax your head, but do not let it dangle. Gaze between your legs or toward your navel. 1. Lie prone on the floor. Stretch your legs back, with the tops of your feet on the floor. Bend your elbows and spread your palms on the floor beside your waist so that your forearms are relatively perpendicular to the floor. 2. 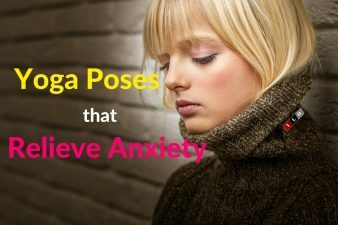 Inhale and press your inner hands firmly into the floor and slightly back, as if you were trying to push yourself forward along the floor. Then straighten your arms and simultaneously lift your torso up and your legs a few inches off the floor on an inhalation. Keep the thighs firm and slightly turned inward, the arms firm and turned out as the elbow creases face forward. 3. Press the tailbone toward the pubis and lift the pubis toward the navel. Narrow the hip points. Firm but don’t harden the buttocks. 4. Firm the shoulder blades against the back and puff the side ribs forward. Lift through the top of the sternum but avoid pushing the front ribs forward, which only hardens the lower back. 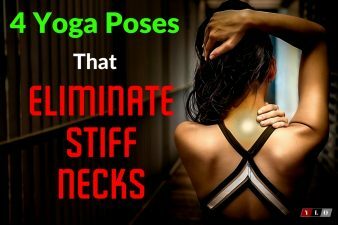 Look straight ahead or tip the head back slightly, but take care not to compress the back of the neck and harden the throat. 1. Lay down on your back. Bend your knees and place your feet flat on the floor as wide as your yoga mat. Be mindful that your toes are pointing straight ahead. Find a neutral position with your pelvis. TIP: There should be a slight space between your lumbar spine (behind your belly button) and the floor. Take a few deep breaths into your belly. On every exhale, as the breath naturally empties out, imagine your groins and upper inner thighs softening towards the floor. 2. Now, maintain the position of your feet as wide as the mat and on an exhale allow both knees to drop over to the left. Take a few deep breaths here. Imagine your breath is like a paintbrush and with each stroke of the breath, it is as if you brush away the tension. Have the sensation that your breath is smoothing out the tightness.